A silly children’s nursery rhyme serves as the inspiration for the Rhyming Reels Georgie Porgie Mobile Pokies, a new, fun-filled online casino game that’s filled with whimsical symbols, free spins and a lucrative Gamble round. Georgie Porgie was the mischievous lad who ran after his neighbours’ daughters in the old sing-song tale, but today Georgie can redeem himself by doing a bit of good – he’ll help you complete winning paylines in your pokies adventure and earn “puddin’ and pie” along with real money payouts. Georgie Porgie is full of special features and elements. You can access all of these elements when you play the Aussie online pokies on your mobile screen. 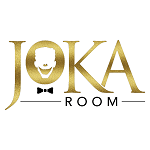 The Aussie mobile pokies connect with your iOS, Android and Blackberry tablet or smartphone via WiFi or cellular connectivity, so regardless of where you are and when you want to play, you’ll be able to access the game and pay at your leisure. In the original Georgie Porgie rhyme, Georgie was characterised as a naughty boy whose behaviour today would cause him to be brought up on charges of harassment. But in the 17th century, when the verses were believed to have been penned, Georgie was seen only as a wayward, impish youth who was a bit of a skirt-chaser. The sarcastic verses of Georgie Porgie refer to a boy who spent time with the girls because he was afraid of the boys. Historians posit that the rhyme was written by anti-royalists to poke fun at George I, King Charles or the Duke of Buckingham George Villiers. Today the Georgie Porgie nursery rhyme has turned into rhyming reels which mobile pokies players can enjoy on their mobile browser or through the casino app in the Rhyming Reels Georgie Porgie Mobile Pokies. The Rhyming Reels Georgie Porgie pokies isn’t for youngsters. The game features five reels, fifteen paylines, wild symbols, free spins, scatters, multipliers and an enticing Gamble Game. You’ll have to stay on your toes as you compete for the game’s big payouts. Georgie Porgie is the “star” of this pokies. The pudgy, not-terribly-bright-looking Georgie Porgie is joined by additional symbols including pretty, flirty girls, boys who came out to play, a mint tube, a silhouette that lays out Georgie’s escape route and standard slot machine letter and number symbols. The Georgie Porgie Rhyming Reels Logo is the Wild symbol of the game which substitutes for other symbols to create completed paylines. When a completed combination forms with the inclusion of a Wild symbol Logo, the payout is multiplied. When multiple Georgie Porgie Logos emerge on an enabled payline they create a Wild symbol combination which has its own, enhanced payout. Georgie Porgie may have emerged in the 17th century but the 21st century Georgie keeps a tube of mint in his pocket to freshen his breath before he kisses the girls. That mint tube is the game’s scatter symbol. Whenever three Mint symbols appear in any pattern on activated or unactivated paylines, the Georgie Porgie Free Spins game begins. When the Georgie Porgie Free Spins rounds is activated, you’ll receive up to 25 free spins — the exact number of free spins that you receive will be determined by the number of scatter symbols that activated the bonus game. Free Spins wins are automatically multiplied by five. If the Mint Tube scatter symbol appears on the reels during a free spin you’ll receive an additional free spin. All free spin wins are added to your regular game wins. 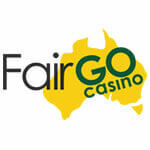 If the Georgie Porgie Logo Wild appear on a free spin, your payout automatically multiplies by 25x. Georgie Porgie was a gambler. He figured that he could enjoy his puddin’ ‘n pie without annoying the other boys, and judging by the popularity of the ditty, he enjoyed a measure of success. You can also take some gambles in the Georgie Porgie mobile slots when you choose to enter the Gamble Round. The Gamble Round is optional. It doesn’t start automatically – you have to click the “Gamble” button in order to play the Gamble. You have five Gamblers per game which you can do all at once, in increments or not at all. Any regular game win triggers the Gamble Round. Quadruple your winnings by gambling on the suit – clubs, spades, diamonds or hearts – of a concealed card. Based on your gamble choice and your success, you can multiply your existing winnings x2 or x4. You can add to your pokies payouts when you add the mobile casino’s promotions bonuses. These bonuses give you the chance to play more games for more time for free. If you’re playing during your first week of casino membership you will be automatically awarded match bonus game points on your first deposits. 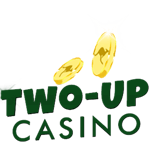 Your added credits enable you to match any deposit with free gaming credits. 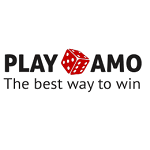 You’ll be able to continue to play for real money without placing additional deposits. You accrue Loyalty Points on all of your casino activities, even as you earn Welcome Bonus points. The more you play, the higher up the Loyalty Points ladder you move, earning you the opportunity to redeem your points for increasingly higher and higher rewards. 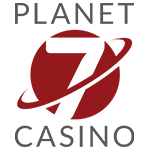 Via your Loyalty Points, you can earn higher limits on your deposits and withdrawals, free spins, cashback deals, luxury items, vacation packages and more. You’ll also receive free gaming points, tickets to draws and other benefits with the special daily, weekly and seasonal promotions. The Australian mobile casino invites you to combine childhood excitement with adult entertainment and real money prizes when you play Rhyming Reels Georgie Porgie Mobile Pokies.